Language typology identifies similarities and differences among languages of the world. This textbook provides an introduction to the subject which assumes minimal prior knowledge of linguistics. 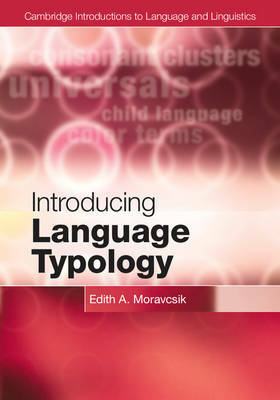 It offers the broadest coverage of any introductory book, including sections on historical change, language acquisition, and language processing. Students will become familiar with the subject by working through numerous examples of crosslinguistic generalizations and diversity in syntax, morphology, and phonology, as well as vocabulary, writing systems, and signed languages. Chapter outlines and summaries, key words, a glossary, and copious literature references help the reader understand and internalize what they have read, while activities at the end of each chapter reinforce key points.